To save the upcoming Bond movie sequel, 'Bond 24,' from what was initially thought to be a disappointingly weak script, veteran silver screen writers Neil Purvis and Robert Wade have been tapped by director Sam Mendes and lead star Daniel Craig, according to Daily Mail. Purvis and Wade personally answered the actor's and notable director's request by adding more 'thrills' to what critics judged as a weak plot. The original screenplay was conceptualized by John Logan of Skyfall fame. The incident comes as a deju vu moment for director Sam Mendes. The Skyfall script was initially written by Neil Purvis and Robert Wade but was later revised by John Logan at the producers' and director's behest. The urgent call for a script change may have paid off. The revised Bond script has been delivered to head honchos, Barbara Broccoli and Michael G. Wilson, who both have given the green light for the movie's filming. The first shots may take place in late November or early December of this year. 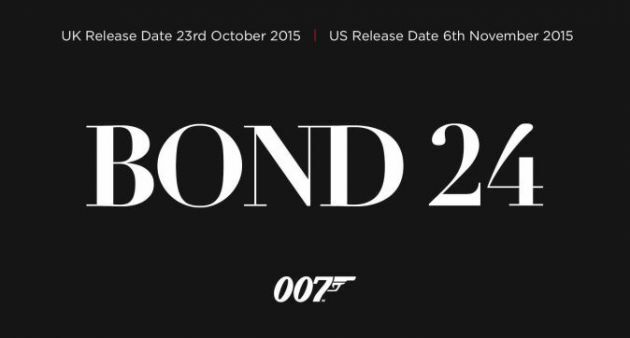 The 24th Bond film does not have a fixed title, just yet. For now, the movie goes by Bond 24 and will feature Ralph Fiennes who plays M and Naomie Harris as Eve Moneypenny. Ben Whishaw also returns to reprise his role, Q, from Skyfall. Rory Kinnear also returns to play MI6 chief of staff, Bill Tanner. The much awaited announcement on James Bond's female leads have not been made, yet; however, rumors are out that Penélope Cruz will enter the sequel as a potential Bond girl. Apparently, all it takes to save MI6's greatest agent are two nominated screenwriters.